Violent protests have erupted in Paris and other cities in France against the ride-sharing app UperPop. 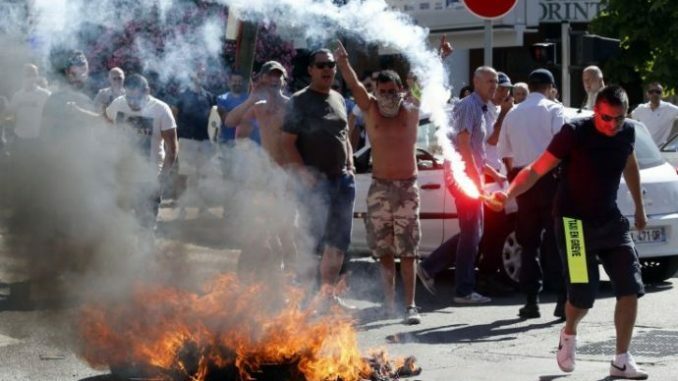 Taxi drivers have gone on strike in France to protest against the UperPop ride sharing app which has taken a giant share of their incomes. The protesters have blocked access to airports and train stations across Paris and other cities. They believe the UberPop ride sharing app has lowered their incomes, is illegal and offers a lesser service to the public. Fires have been started, cars attacked, roads blocked and vehicles overturned as violent protests continue against UberPop and Uber, its US parent company. Aeroports de Paris, which operates the city’s Charles de Gaulle airport said on its website: “Access by road is completely blocked. The only way to get to CDG is by train.” Photos published by the Reuters news agency show piles of burning tyres and upturned cars blocking major roads. Families with small children abandoned their cars and walked along motorway hard shoulders to reach the airport, the Independent reports. 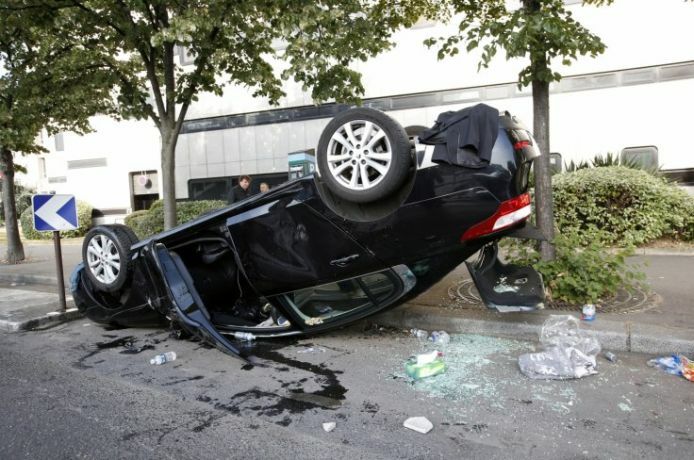 An IBTimes UK reporter in Paris confirmed that all French taxi drivers are on strike. Further images show scuffles between cab drivers, along with police dressed in riot gear attempting to regain control with tear gas. Taxi drivers have blocked roads leading to Paris’ Gare du Nord train station, where the Eurostar connects the country with London and Brussels. Eurostar tweeted to say disturbances are to be expected and 25% of trains are not running. Speaking to French television channel BFM, Serge Metz, head of a taxi firm called G7, said: “We are faced with permanent provocation [from Uber] to which there can only be one response: total firmness in the systematic seizure of offending vehicles.” Metz added: “We are truly sorry to have to hold clients and drivers hostage. We’re not doing this lightly,” reports Reuters. Disturbances expected on the #RERB in Paris today due to strike action. 75% of trains will be running. Follow @RERB for updates. 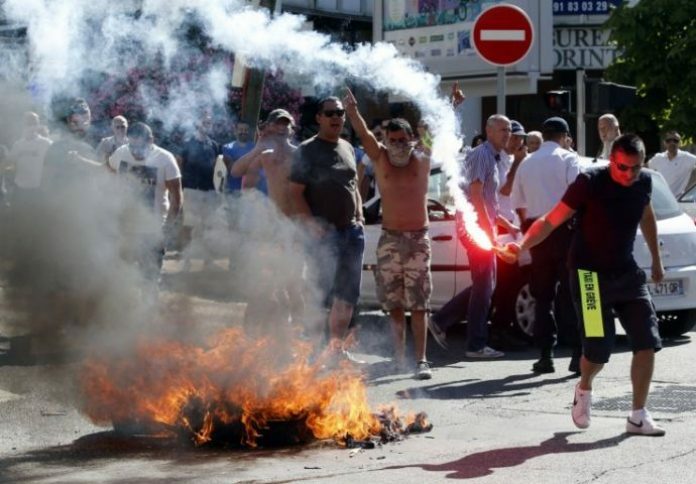 Barriers set up by cab drivers around Marseilles and Aix-en-Provence in south-east France, including at key motorway exits, have also blocked access to train stations in the two cities. The main access road to Marseilles-Provence airport was also affected. Singer Courtney Love was caught up in the protest, as the car she was travelling in was “ambushed” and her driver “held hostage”. Local taxi drivers see UberPop, which works the same as Uber does in the US and UK, as a threat to their businesses and livelihood – a position shared by London’s black cab drivers, who have also staged protests in the past. The lack of licensing for Uber drivers is a key cause for their concern. UberPop continues to operate in France, despite a new law coming into force on 1 January forcing all paid drivers to carry the relevant license and insurance. French officials claim Uber is now illegal under the new law, but courts have allowed it to continue operating in the country for now, pending a ruling on its legality from a constitutional court; Uber’s case there began on 23 June. Uber often costs less than traditional taxis and the drivers can work as many hours as they like. In London, Uber drivers do not need to pass the famous Knowledge test, which is used to ensure all black cab drivers can navigate the city without a map or sat-nav. Top German Politician Tells Ash Carter to ‘Go F**K’ Himself’!